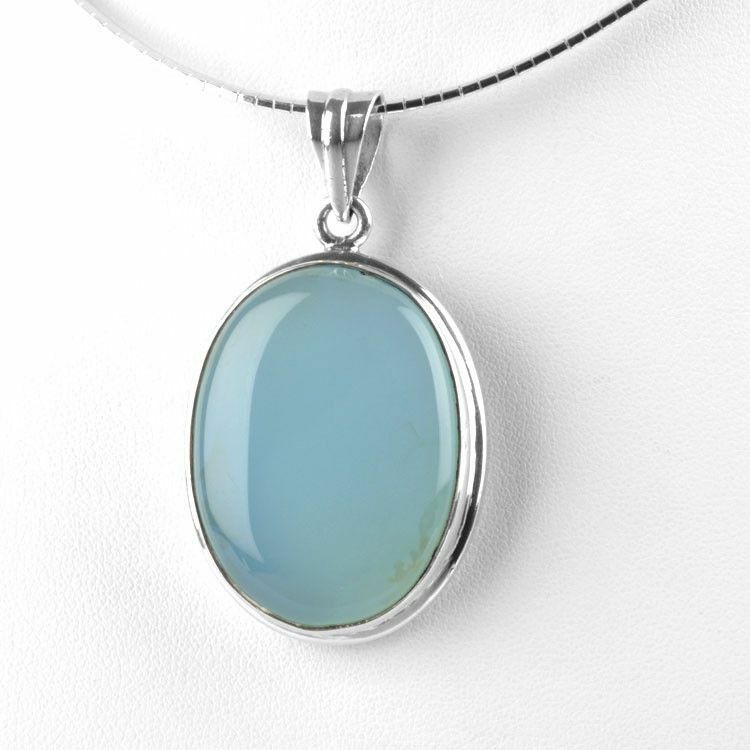 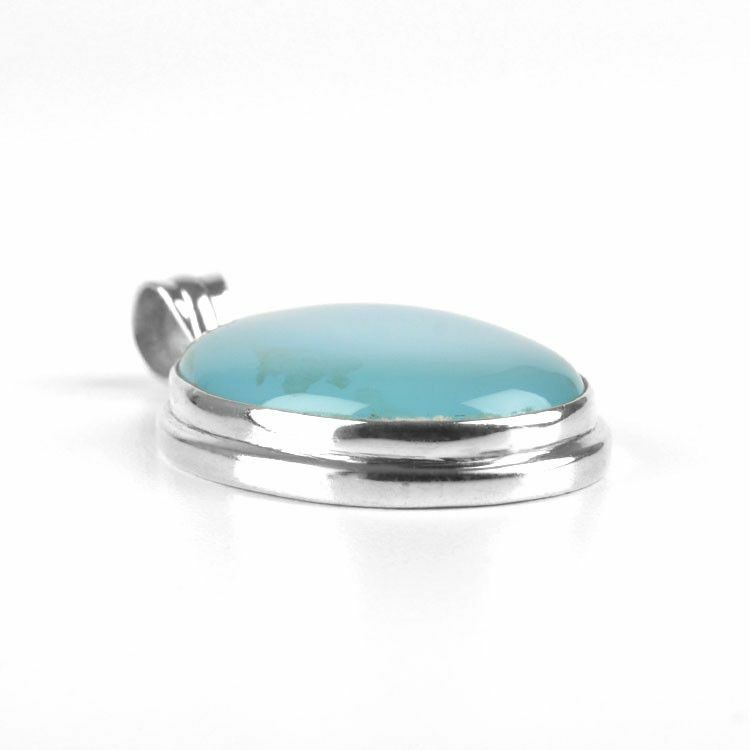 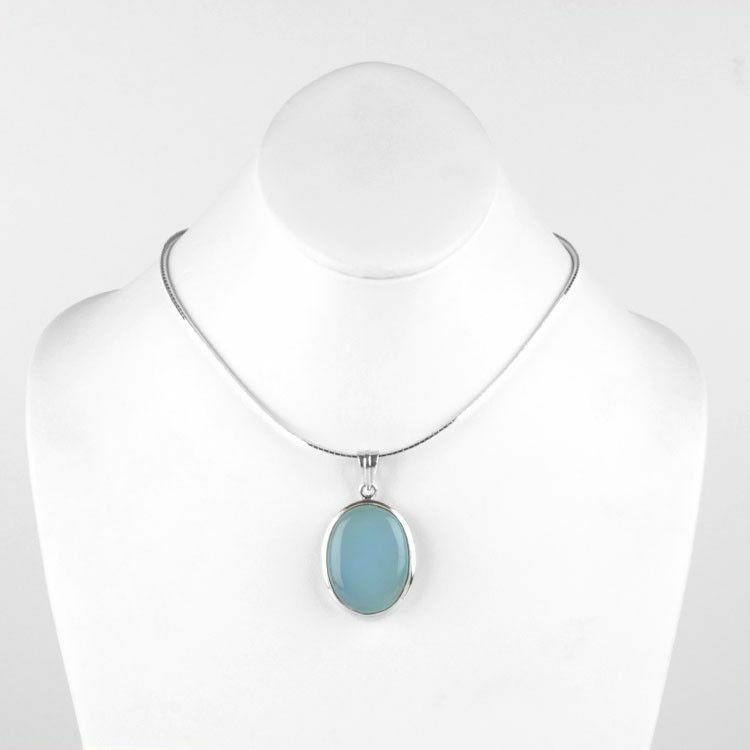 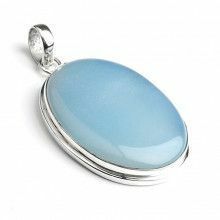 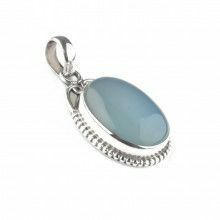 This oval shaped blue chalcedony gemstone pendant offers a classic look. 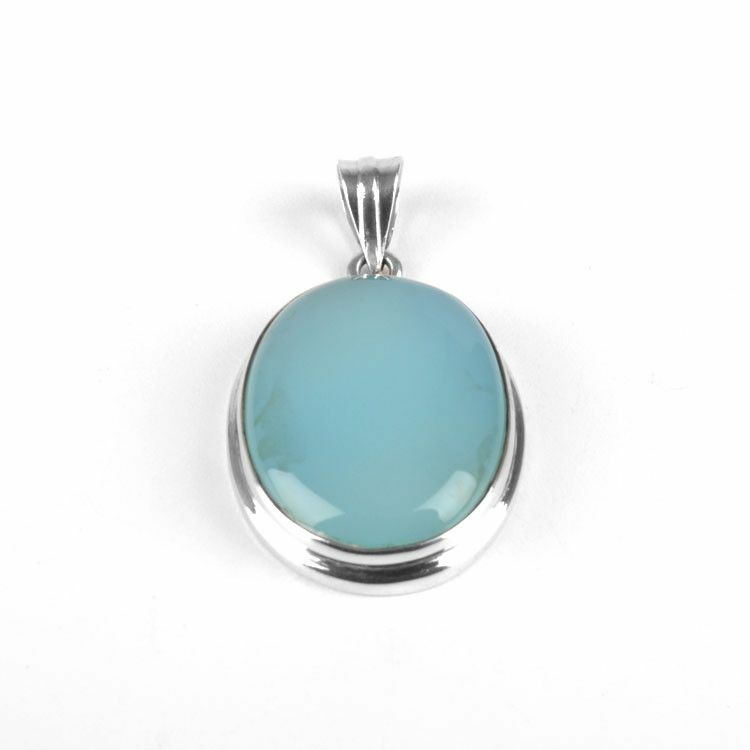 The 2" pendant features a natural stone set in sterling silver. 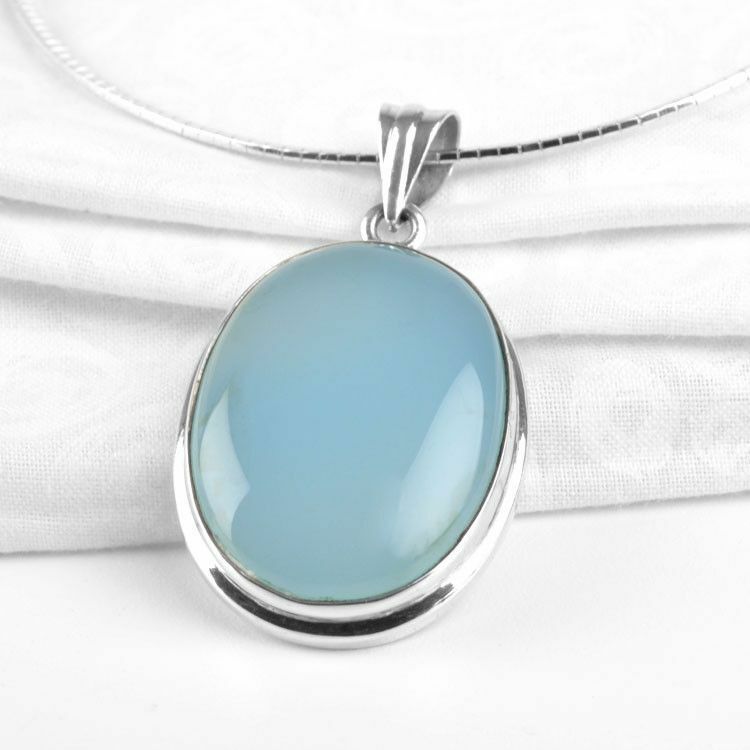 The very light blue hue looks wonderful with many outfits and looks great with different chains or cords.